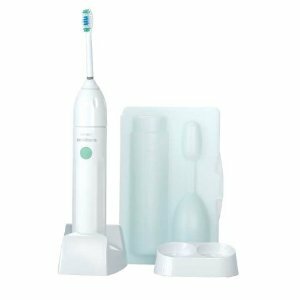 Get this Philips Sonicare Essence Power Toothbrush for a great discounted price of $24.99 after Amazon discount and Mail in Rebate . The list price is $69.99 so this is a huge saving for the Philips Sonicare Essence Power Toothbrush. Taking care of your oral health is easy with the Philips Sonicare Essence 5300. This rechargeable power toothbrush features a unique angled neck, extra-soft contoured bristles, and patented Sonic technology to gently remove plaque in hard-to-reach areas. An Easy-start feature helps you acclimate to the Sonicare experience, and a two-minute timer ensures you brush adequately. For further convenience, the Essence 5300 remains charged for up to two weeks, a great feature for traveling. This toothbrush arrives in Amazon Frustration-Free Packaging, which is recyclable, easy to open, and ships in its own box. This is a best seller on Amazon and has 4 1/2 Stars with over 1,200 reviews. Read the Amazon Reviews here to see what a great deal this is! 40% Off Crazy 8 For Baby! Cloud B Twilight Turtles & Ladybug just $22.89!